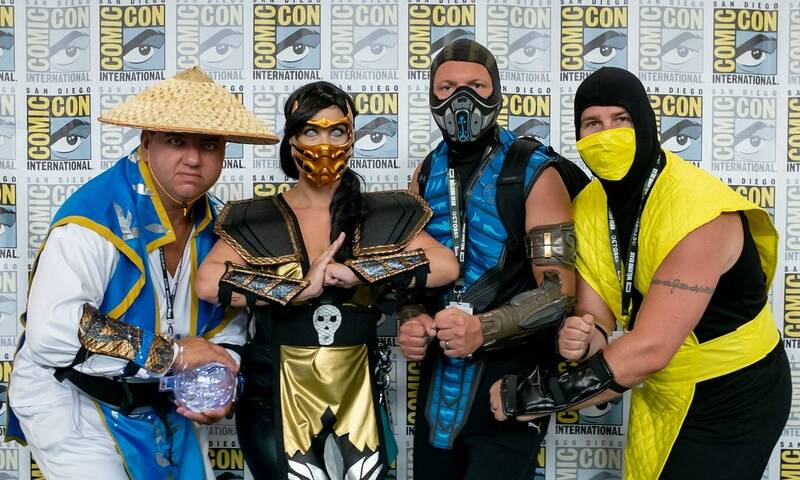 Mortal Kombat cosplay brings your favorite fighting video game to life! 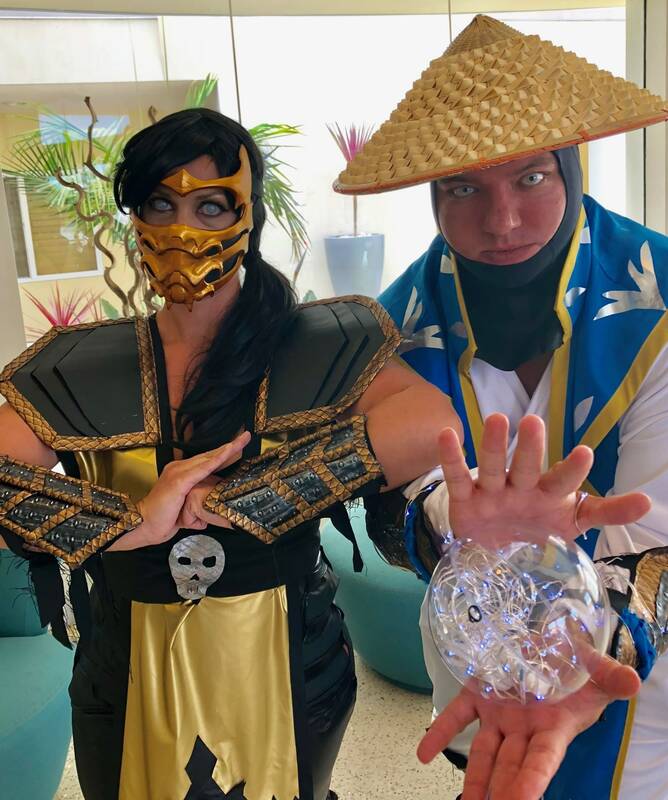 Choose from Scorpion or Raiden. Purchase the parts you need, or the whole costume. 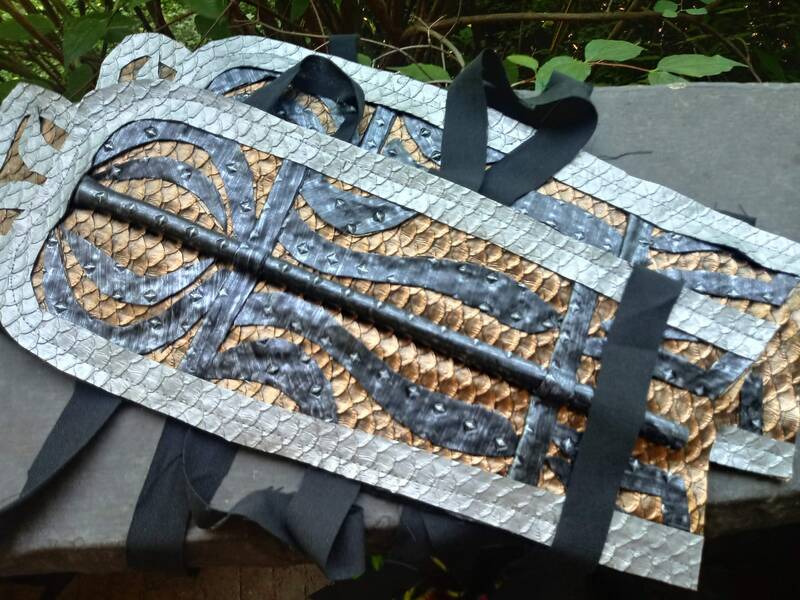 Additional Mortal Combat costumes available, contact me for all your cosplay needs! 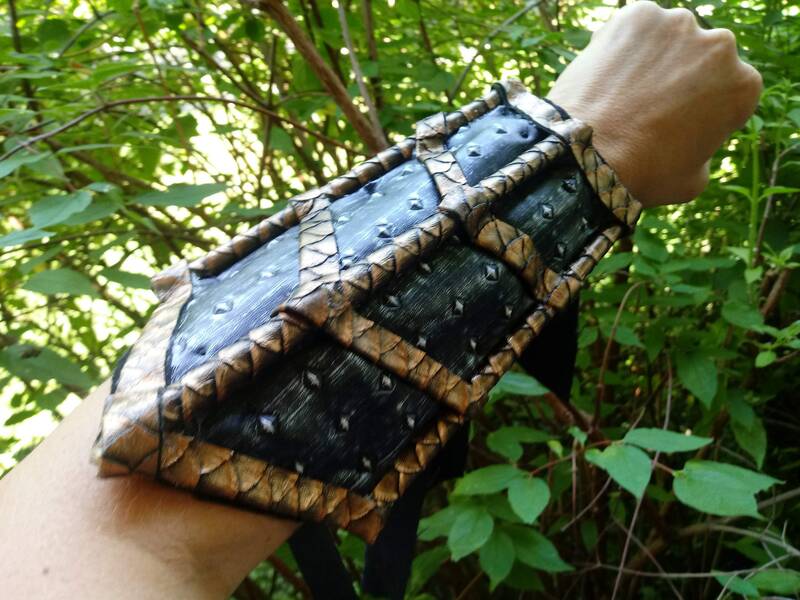 Scorpion costume includes tunic with shoulder armor, belt, arm gauntlets and leg gauntlets. 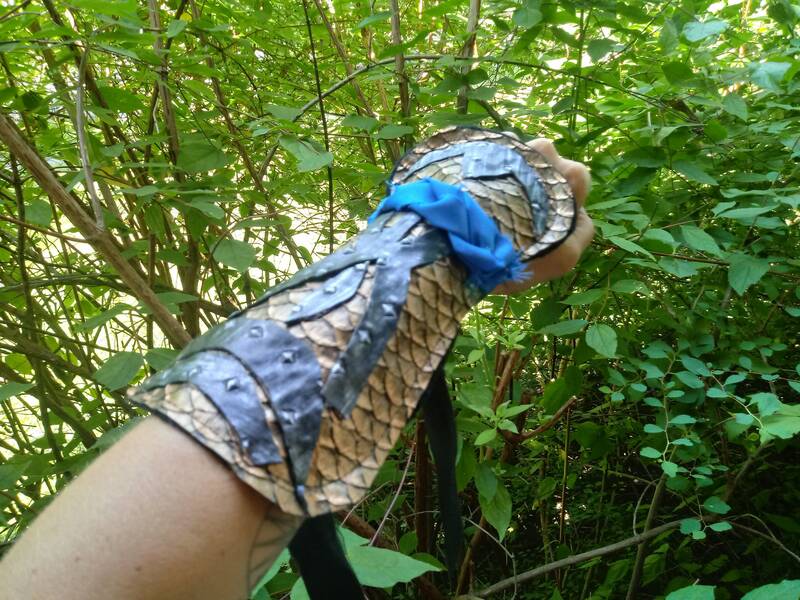 The tunic and belt can be purchased separately, as well as the leg and arm armor sets. 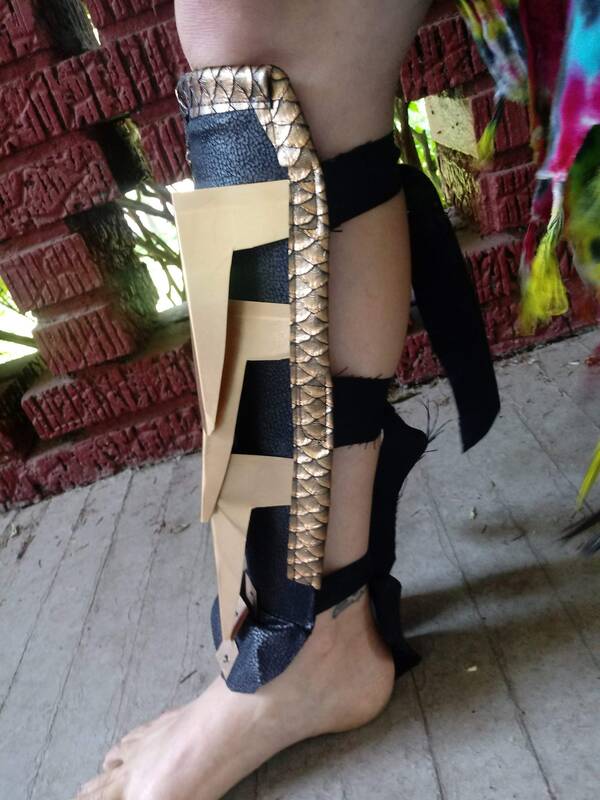 Scorpion costume is made from gold latex with black accents, suitable for male or female, and is entirely made to order. 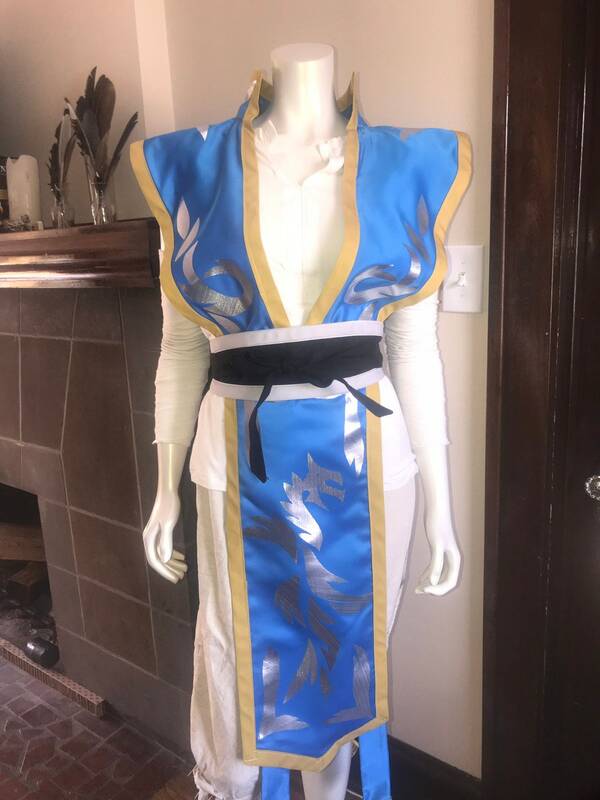 Raiden costume includes blue tunic with silver dragon detail, arm and leg gauntlets, Obi belt, and white top and pants. Tunic and other items can be purchased separately, buy just what you need for your costume. 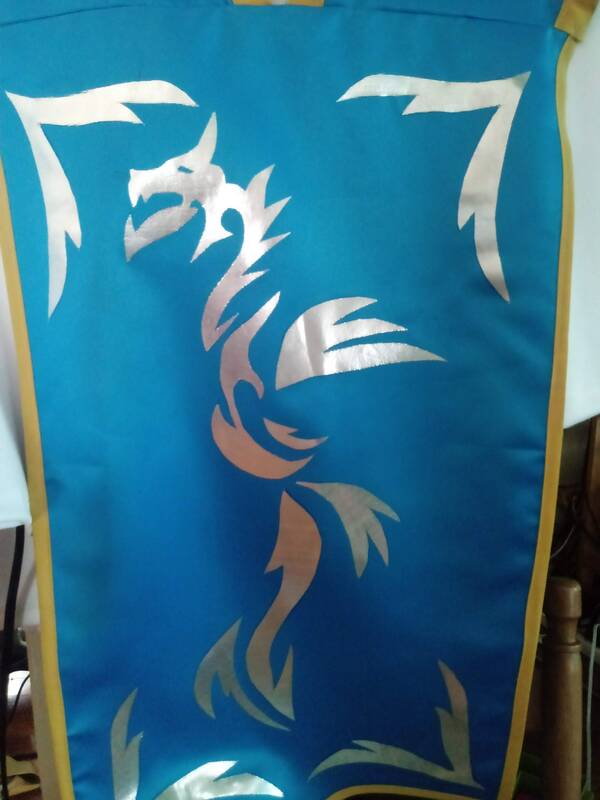 Raiden costume is made to order, using your measurements. Suitable for male or female. 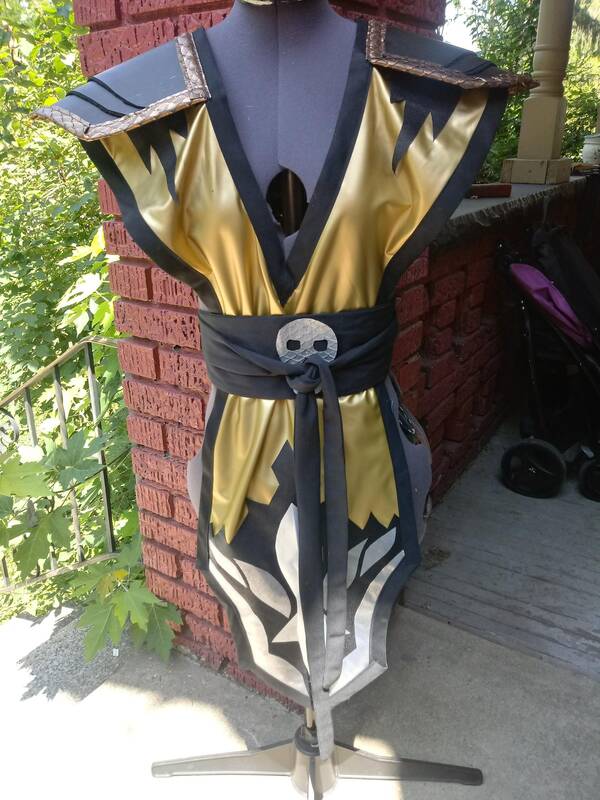 Children’s Mortal Kombat costume available, please contact me for pricing, or any questions at all!